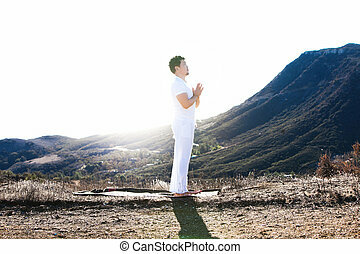 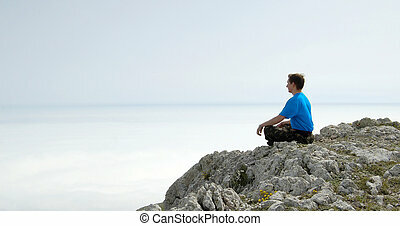 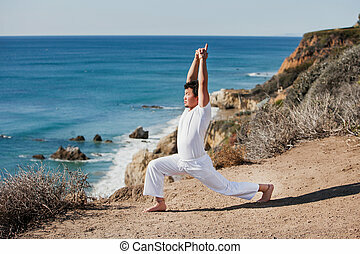 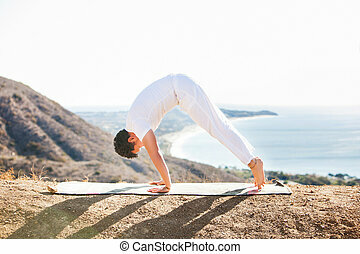 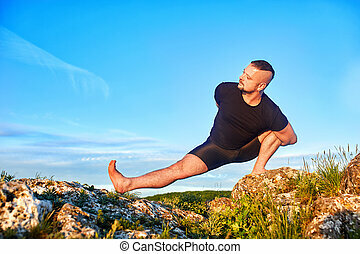 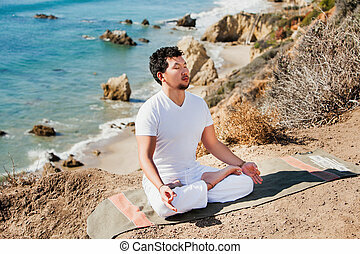 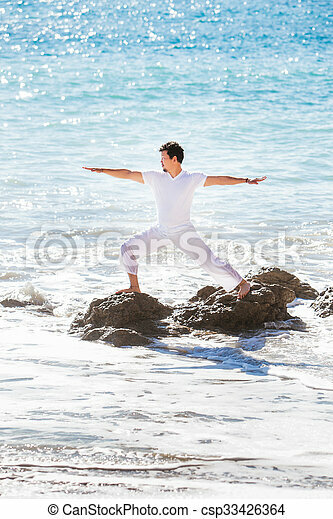 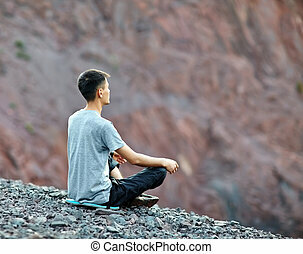 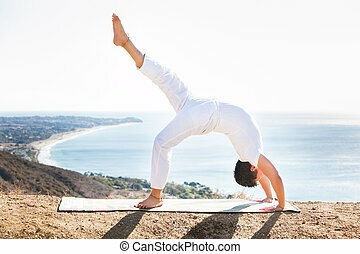 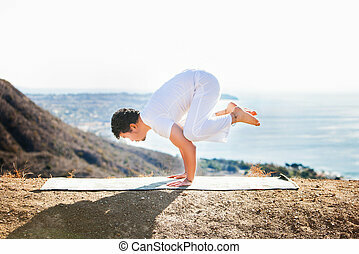 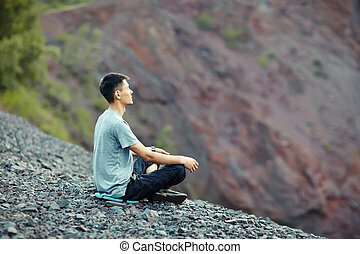 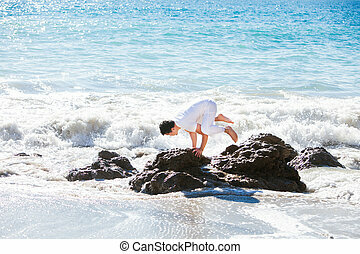 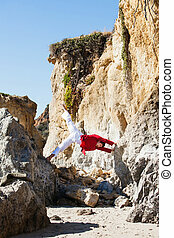 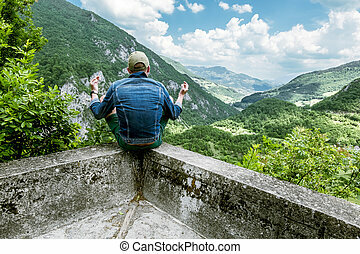 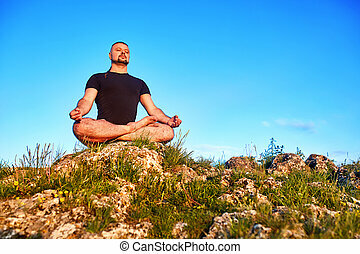 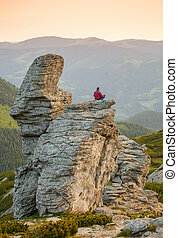 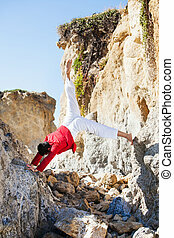 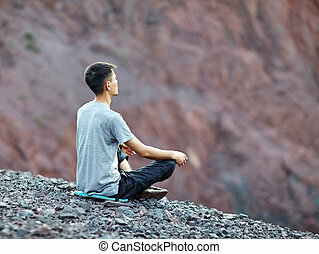 Asian Man Meditates In Yoga Position On High Mountains Above Blue Sky. 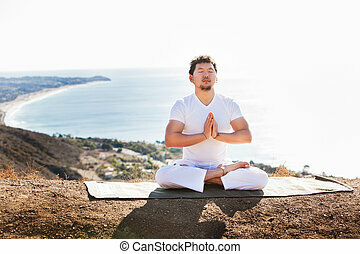 Asian man meditates in yoga position in high mountains above blue sky. 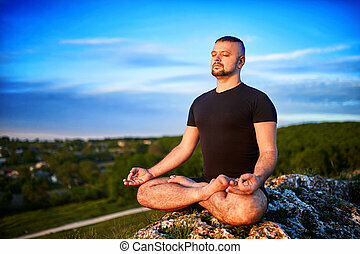 Unique concept of meditation, spirituality, balance, harmony in life. 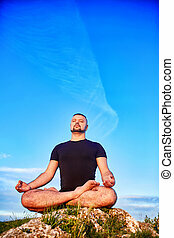 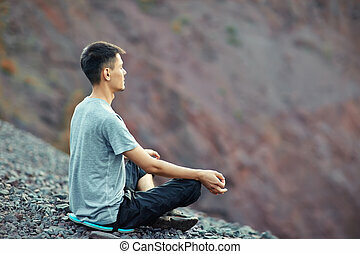 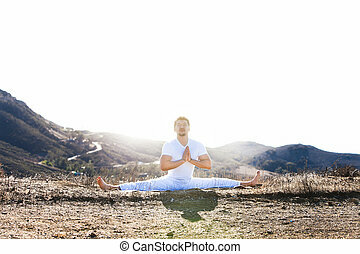 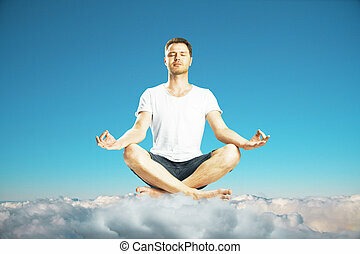 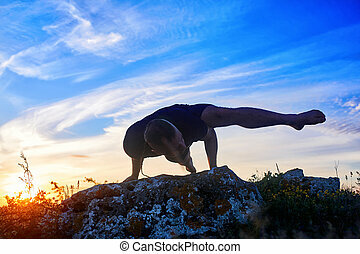 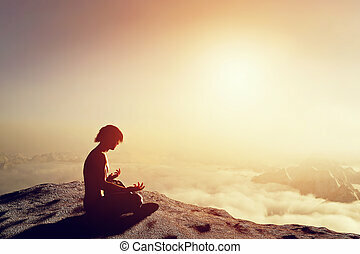 Asian man meditates in yoga position in high mountains above clouds at sunset. 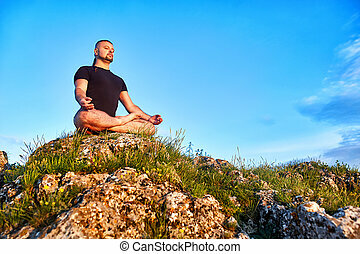 Unique concept of meditation, spirituality, balance, harmony in life.